Sightings of unexplained flying objects date from earliest recorded history. In the United States in particular, records of UFO sightings date back to 1639 in Boston. Since that time there have been innumerable UFO sightings across the country. In fact, every state has reported sightings which range from lights in the sky, to orbs, to craft of various shapes, even to entities. In fact, after WWII until about 1970, the U.S. government investigated sightings of strange phenomena from the Wright-Patterson Air Force Base near Dayton, Ohio. During that time about 12,618 of the sightings studied were eventually attributed to weather or air traffic. However, 701 remain without explanation. The investigation, code named Project Blue Book, was declassified in January 2015. It is interesting to note that Project Blue Book does not contain much content that surrounded the 1947 alleged crash near Roswell, New Mexico, which incited fear and interest in UFOs worldwide. ​What Are the Highest Number of UFO Sightings by State? ​The state of California leads with over 11,000 reports to date, down to North Carolina which has recorded over 2,000 reports of unexplained flying phenomena. Some speculate that extraterrestrials have demonstrated interest in American aerospace technologies. They point to the higher number of sightings in California and Texas where there are numerous air bases and even NASA’s headquarters. However, the phenomena have been seen miles from any military installations. ​Have There Been Any UFO Sightings Near Me? ​In fact, there is no clear reason for the number of sightings in a given area in the United States. Just as varied as the locales where sightings have occurred are the types of lights or craft that are reported. Lights in the sky that change color or move in an unusual formation, then accelerate at an uncommon rate of speed, are often reported. Sightings of craft shaped like saucers, cigars, and even triangles predominate. For those wondering, “Have there ever been any UFO sightings near me?”, we invite you to track the most recent UFO sightings on our Live UFO Map. 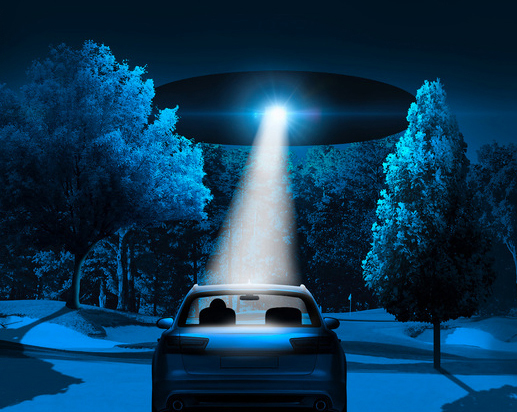 When they research UFO sightings by state, most MUFON site visitors are surprised to learn that reports have occurred in their region, sometimes in their own town! If you have ever wondered, “Have there ever been any UFO sightings near me?”, the best way to learn the answer is by joining MUFON. Every month our members receive updates on reports currently under investigation. There are many other benefits as well. If you’d prefer, please consider making a donation so that our vital work, to uncover and share the truth about UFOs, may continue.